You should check this page from time to time to ensure that you are aware of any changes. This policy is effective from August 2013. 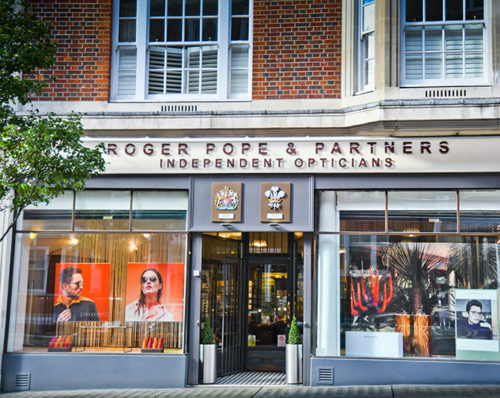 We are a business supplying spectacle frames and lenses and also conduct eye examinations. We employ fifteen people at two locations. We pay special regard to environmental and social issues and how they impact on our business and society today. As a company we are committed to sustainable business practices and actively ensure that our suppliers are aware of these principles. All staff in our company are committed to these ideals and we are constantly reviewing ways to improve our policy at our quarterly staff meetings. We actively refuse from our suppliers any superfluous packaging and we recycle all cardboard, paper, plastic and glass received at our practice. We source whenever possible frames and lenses from European manufacturers. When we visit our frame and lens suppliers we ensure they meet the same ethical standards as ourselves. We support local schools and make a donation to a different optical charity each year. We collect old spectacles (ie frames with lenses) that are sorted by trained prison inmates to check lens powers and specifications and who refurbish the frames before being forwarded to eye charities in Africa. Obsolete computer equipment is collected and forwarded to local schools and developing world charities. We have introduced low voltage and LED lighting for our display stands. We have a Lighting Management System to control practice lighting times. We have recently installed a more efficient Building Management System to control heating and cooling.